All-seed diets are deficient in fat-soluble vitamins like vitamin A, minerals such as calcium, and the correct balance of amino acids. Over time, seed diets lead to malnutrition and weakening of the immune system. 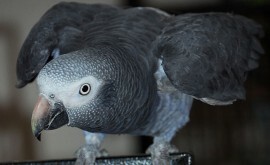 Conversion to a healthy diet will improve the health and feather quality of your pet bird. Before beginning a dietary conversion, your bird should be evaluated by your avian veterinarian to ensure he is healthy and of a normal weight and body condition. Dietary conversion should be a very gradual process. Gradually increase the proportion of healthy food offered. Monitor weight and droppings closely. Provide a variety of food colors, shapes, and textures. For instance, a healthy food like sweet potato may be fed raw, cooked, mashed, diced, sliced, and pureed. Produce that is relatively sweet like corn, grapes, and apples are not particularly nutrient-dense, but do often make a fantastic transitional food. Once your seed junky is eating some produce, gradually offer more nutritious foods like dark, leafy greens as well as orange vegetables like sweet potato and carrots. The grains and seed present in foraging diets like Lafeber Nutri-Berries, Avi-Cakes, and Nutri-Meals often promote conversion to a wholesome diet. 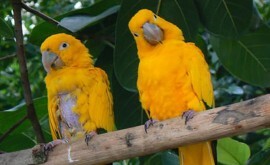 Small parrot species sometimes like to peck at large chunks of produce or Avi-Cakes fastened to the bars of the cage. Parrots enjoy drama and are naturally curious. Be enthusiastic as you pick up a new food item. Savor it (or at least pretend to), and then quickly offer some to your bird. As a social eater, he may accept the food item. 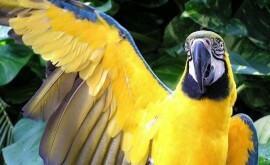 Parrots are also playful. Make food fun by winding greens through the bars, or creating kabobs. Many parrots also enjoy leaf bathing with large, wet leaves of greens on the top of the cage. In turn, leaf bathing may lead to leaf eating. Ground-feeding birds such as cockatiels and budgerigar parakeets like to eat on flat surfaces. Sprinkle a formulated diet like crumbled Nutri-Berries or pellets onto the table mixed with seed. Look intently at the food, and start pecking at it like a bird would by picking up individual pieces quickly with your thumb and forefinger. Later, place food on plastic lids on the bottom of the cage to maintain interest in these items. The avian behaviorist, Sally Blanchard, has also described the Model/rival technique. Have another person feed you in front of your parrot. This will interest your bird and entice them to try the new food. 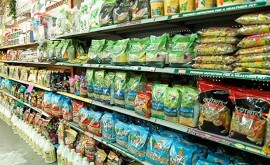 Providing choices may be helpful when offering formulated foods such as pellets or extruded diets. Offer several quality brands such as Lafeber, Harrisons Bird Foods, and ZuPreem. Large parrots may also be fed meals twice daily instead of offered food free-choice. This may keep these individuals hungry enough to better accept new foods. Never withhold food from small or medium-sized birds. • What is your pets favorite meal? If he is he hungriest in the morning, then that is a great time to offer new foods. By the same token, soft, warm foods may mimic regurgitation of foods, a reproductive behavior associated with pair bonding. When converting your bird to a healthy diet, be patient and persistent. Dietary conversion generally takes months and involves the waste of some food, but it is worth the effort! Remember that you are making a change that will impact your birds health forever. Blanchard S. Teaching bathing skills. Companion Parrot Handbook. PBIC, Inc.; Alameda, CA., 1999. Pp. 122-125.